Made by a man on the land, for the man on the land. Made by a man from the land, for the man on the land. 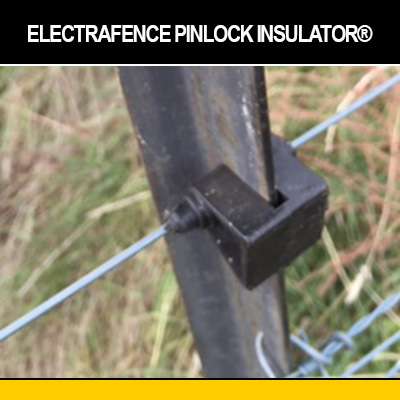 The High Jump Fence Extender® can be fitted to new or existing fences. 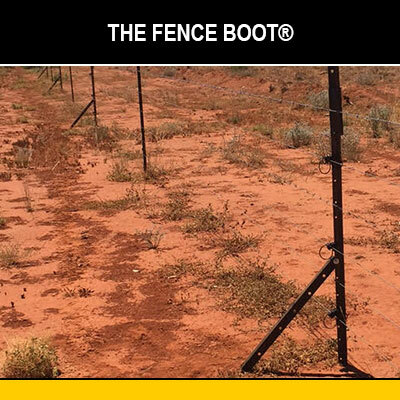 If installed correctly, the left angle, right angle or vertical extensions provide protection from jumping animals. 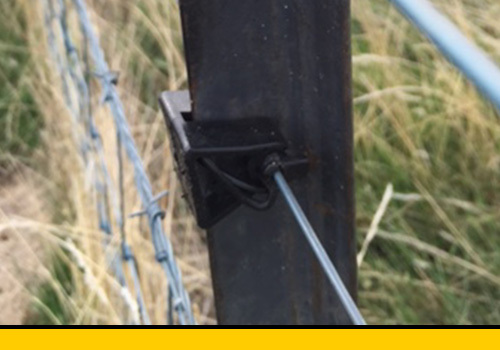 Fit to a new or existing steel post (star picket) fence and keep burrowing animals out of your paddocks. Simple, cost-effective solution to a very expensive problem. Fit or replace insulators without removing wires. Stronger, cheaper and easier to install than any other insulators on the market today ! I’m pretty excited that someone has actually done what you have. 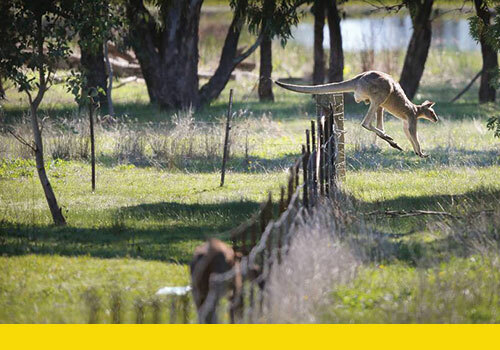 I’ve thought for years that this could be a solution to the kangaroo problem on our existing fences. I estimate we are currently running around 15,000 kangaroos on our property Cashel Vale – at 0.7 livestock units/ kangaroo that equates to around 10,000 sheep. 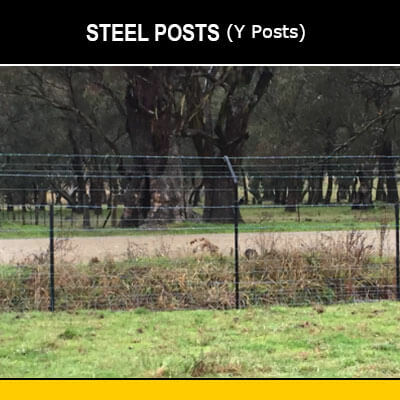 I think these post extensions could be the answer for us and a lot of other farmers, because of their simplicity and the fact that they go over existing fences. 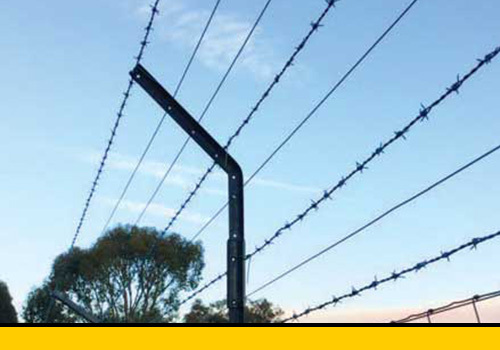 A much cheaper option than a whole new exclusion fence. I believe roos are our biggest problem despite all the hysteria at the moment about dogs. We are yet to have any problems with them, but neighbours are reporting they have been under a bit of pressure. 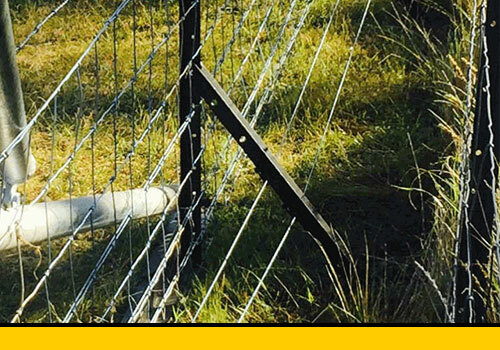 Dogs were the reason we started electrifying our new fences. My theory was if we could discourage them from climbing through our fences, they would eventually get sick of it and go elsewhere. 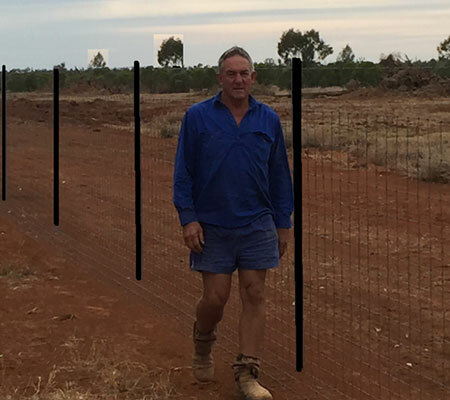 Most people are building 6 foot netting fences to keep dogs out and are reporting anecdotally that they are getting huge pasture responses because the roos are being excluded too. We are currently weighing up our options on what to do here. We were prepared to re fence our boundary with a six foot netting fence if we could borrow the money on reasonable terms, but current estimates are at around $10,000 / km. Your post extensions have given us another option, which we’re certainly going to be considering. 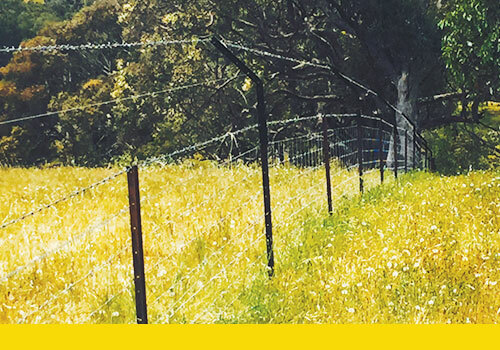 The High Jump Fencing range contains a number of innovative, patented designs created with Australian farming conditions in mind. We have a number of new products in the pre-production phase, so if you’d like to hear about those once they’re available, subscribe to our newsletter below. 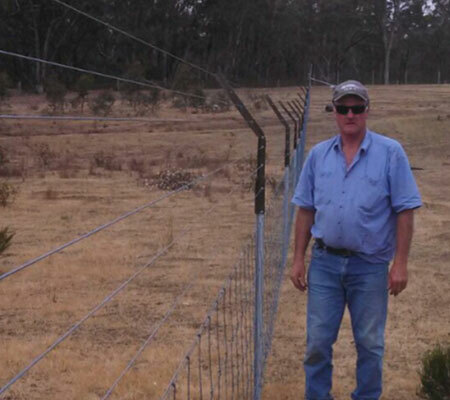 We put the post extensions on an existing hinge joint boundary fence along the Red Castle forest near Heathcote in Victoria. The fence has a barbed wire at the bottom, which I thought the roos would never get under, but when we fitted the extension at the top they started to really put pressure down low, scratching and digging their way underneath the fence, especially at old stump holes and the likes. I have just been filling these holes in with the loader because I realise that I can’t keep doing this forever because we put 5 km’s up. I think that the boot would have been a cheaper and less time consuming option because we’ve had to come in 300 metres at both ends just to slow them down, because they were just going around it. Stock density is calculated in a measurement called Dry Sheep Equivalent (DSE). One red or grey kangaroo equals 0.6 DSE, which explains why when we have this many of them on our property, we’re not going to have any feed left for our domestic stock. I think we can increase productivity by at least 50 percent by keeping the Roos out and the boot and the extension are going to help us do just that. 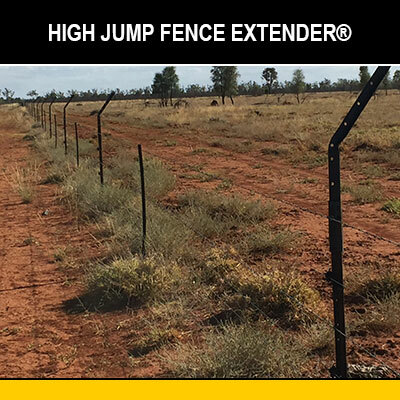 Want to know how the High Jump Fence Extender® could help on your property ?